If you happened to be at Wonder Con ’19 and if you happened to be in the Agents of S.H.I.E.L.D. panel, then you got to see first hand the changes in store for our agents. If you belong to 99.9% of the population that didn’t see it–no worries! The wait is almost over and the season 6 premiere will be airing on May 10th, on ABC. What I can tell you (only a minor spoiler) is that the show picks up a year after last season ended. Which is a nice convenient way of by passing the dreaded snap and what will play out in Avengers: Endgame. 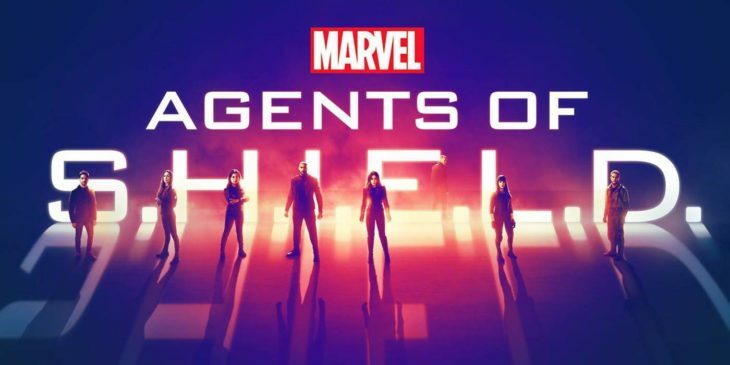 WNA got a chance to speak to the talent in front and behind the scenes of AoS and get their take on what this season is going to be like and a little taste of who Clark Gregg is going to be in the series. Hint: he isn’t Coulson anymore…or is he? Jeph Loeb is very good at being secretive. If I ever had to share a secret with someone I knew wouldn’t tell, it’s this guy! He always teases that everything in the Marvel Universe (Television and Cinematic) is connected, I think we will be seeing this more this season than in the past. Natalia hints that her relationship is over with Mack, but it doesn’t mean her love life got snapped out of existence (Lucas Bryant, anyone?). Addressed here are the important questions; like does Mack get Lola now that he is the Director of S.H.I.E.L.D.? Clark Gregg won’t say much about his new character, but does discuss what it was like to step behind the camera again and direct another episode. Henry Simmons discusses how his character has changed with his job promotion. If you were expecting a reprieve from the emotional rollercoaster of last season, well, tough luck. These two take glee in putting our agents through the ringer, and let’s be honest–we wouldn’t really want it any other way! It is so nice to see a grandfather have such a special relationship with his grandson! Iain talks about how it may be a little awkward for this Fitz, to find out he is married and how there will be some catching up to do. (I think a timeline flowchart might be necessary for all of us this season.) I love how excited Jeff is to be part of this show and I think there is probably very little difference between him and Deke! First, if you want to work for Marvel I would suggest changing your name to Jeff. Things are never easy for Fitz-Simmons, and I doubt that will change anytime soon. Elizabeth and Jeff discuss the future for these characters and how all that has happened to them has shaped the persons they have become.